Management education in India has come up as a highly sought-after path to create a valuable and bright career for the youth. Every year, there are millions of management graduates who pass out of the MBA, PGDM or PGPM courses, and join the hunt for a high paying job in India or abroad. The starting salaries of the business graduates passing out of top b schools in India have been very high compared to many other professional courses in India. This is the reason that the entrance examinations for these courses are extremely competitive and difficult to master. A little bit of awareness can help the aspirants for these exams and tests in a big way by helping them explore all the options that can set them on the right path. While most students who have the expectation of cracking a management entrance examination, only concentrate on CAT, they also need to be aware of other tests such as XAT, IBSAT, GMAT and others which can open-up new avenues for them. This article lists out the common tests that can help you get admission into the leading business schools in India of the student’s choice. For the most students who are preparing for the management entrance the CAT is the first one that comes to their mind and it is the most popular management entrance test in India. There is no shortage of CAT accepting colleges in India and that accounts for the popularity of CAT. It is attempted by many students and gives the students to get admitted to the prestigious IIMs as well as about 100 business schools. In the current format the CAT is a computer based test with multiple choice questions divided across various sections and conducted in technological partnership with TCS. The CAT aspirants are required to secure at least 50% CGPA scores during their graduation and students from any AICTE or recognized university can appear for the test. Students in the final year of their graduation can also apply and take the test. The CAT has three sections, called Quantitative Ability, Data Interpretation & Logical Reasoning, and Verbal and Reading Comprehension and 100 MCQ (Multiple Choice Questions). XAT is the entrance test for the XLRI. Like CAT, for XAT, the aspirants are required to secure at least 50% CGPA scores during their graduation from any disciple and students from any AICTE or recognized university can appear for the test. IBSAT requires 2 hours with sections such as quantitative techniques, data interpretation, data adequacy, vocabulary, analytical reasoning and reading comprehension. The test has 140 MCQ based objective questions with 1 mark awarded to each correct answer. SNAP is a national level entrance examination primarily for entrance in the 15 institutes governed by Symbiosis International University. SNAP is two hours long in test duration with 130 questions (as opposed to 150 in earlier years) and based on computer instead of paper based test. There are 110 multiple-choice questions (MCQ) and 20 special non-multiple-choice questions. In regards with scores, each MCQ grants the candidate 1 mark for every correct answer and deducts 0.25 marks for incorrect mark. The scores of both positive and negative marks are doubled for non-MCQ i.e. 2 marks for correct answers and deduction of 0.50 marks for incorrect answers. Passing the entrance exam of a prestigious business school can be a solid step towards building a robust career. 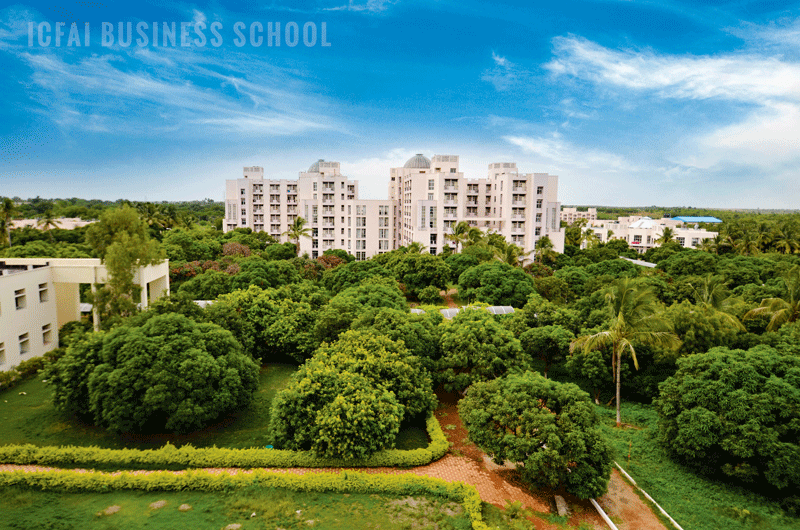 It must also be noted that may top business schools in India also accept the score of more than one management entrance test such as ICFAI business school accepts GMAT/NMAT by GMAC/CAT scores (from 2016 onwards). These candidates are exempted from IBSAT as a qualifying examination. To have a great management career one must first decide the right business school. To get to the right business school one must choose the right test. Matching your caliber to the right test and the right `institute that fulfills your needs can save you time and energy. 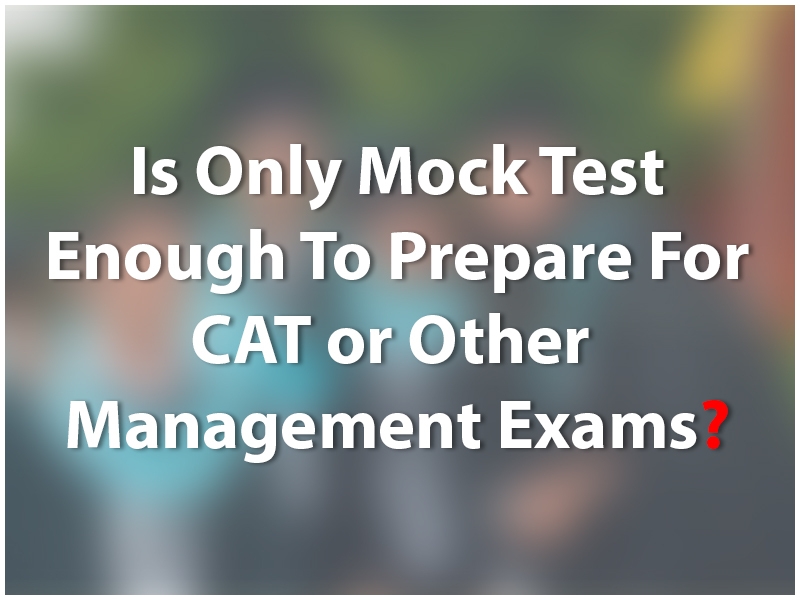 Is only mock test enough to prepare for CAT or other management exams? As the popular saying goes “The Rome was not built in a day’ and the same is true for an entrance exam for any MBA/PGDM/PGPM course. Cracking one of these exams takes months of careful planning and preparation and could be your entry ticket to a bright prospective career going forward. Today the management courses that are offered in the country are among the best in the world, and top b-schools in India such as ICFAI Business School also attract talent from all over the world. With all the lucrative opportunities that await the students once they enter the magical land of management schools, comes also the unique challenges. One of the biggest among these challenges is getting admission in a b-school, since they are very stringent with their admission procedures to ensure the quality of their education. The b-schools regulate this process through admission tests such as CAT, XAT, GMAT, IBSAT and many more. The difficulty does not lie with the amount of the syllabus that is covered by the tests, but with developing the applicability of the knowledge that has been learnt. A little guidance in the direction of how to prepare well for these tests can go a long way in making a difference in the student’s preparations and confidence level. Almost anyone who has ever been through one of the mock tests can vouch for the value they provide in your overall preparation. The mock test is a simulated test with real questions asked in the management entrance exam of your choice, complete with answers and scoring. Attempting the mock test is undoubtedly a smart decision since it can tell a lot about your preparation and where you stand compared to the other students. This is especially useful since just passing the entrance exam is never the goal of most aspirants. To get admitted to the management course of your choice, you must score better than other aspirants of the test and score in the highest percentile. The other benefit of the mock test is to find out which area of the test are you scoring well at and where do you need to put in the effort to score higher. While the mock tests are incredibly important, it is not the sure shot way to prepare for these real entrance examinations. The tests have a limited number of questions asked from a vast syllabus and by only attempting mock tests you may run the risk of leaving out a part of the syllabus which may come up as a question during the D-day. The other reason not to depend solely on the mock test, but focusing on the fundamentals is because they work on your subject knowledge and get your scores higher in mock test and the real thing. Although the curriculum covered by the tests is usually of school level only, as you start preparing you may realize that your education may have left gaps in your understanding and some fundamentals on a few subjects are not clear. Revisiting the fundamentals and working to get better at them will also make you feel more confident. Although the mock tests do a good job of looking at not only how well are you attempting a few sections and questions they also elaborate on how much time are you spending on each section. Balancing the time that you spend on various sections of the test is one of the key factors in your success. To get better at individual sections of the tests, it is recommended that the aspirants attempt the sample questions. This helps the students in understanding the trend of questions and gives them more time so that they can find more effective ways of tackling difficult problems. The most basic yet often overlooked step to this process is understanding the pattern for the CAT and other management exams that the student wishes to attempt. This helps the students understand the nitty gritty of exam and sets the expectation about the questions that they are likely to encounter. Most of the entrance examinations have similar exam patterns with common sections such as Verbal Ability, Logical Reasoning, Numeric Ability, Reading Comprehension and Data Interpretation. Although these sections may be present in two entrance exams, they both may differ in the number of questions and the distribution of marks that each section has. Another big variable is the scoring pattern with or without the scope of negative marking. These factors may make the student differ their strategy for each entrance exam. There is an excellent selection of reference books that has been available to all management exam aspirants along with a plethora of study material. A reputed coaching center that specializes in management entrance exams can be an excellent source of study material and reference books. Those who wish to attempt the entrance exams through self-study and do not wish to enter a coaching institute also have a lot of options available in the market. The students can get their hands on sample papers and well-established books to guide them. 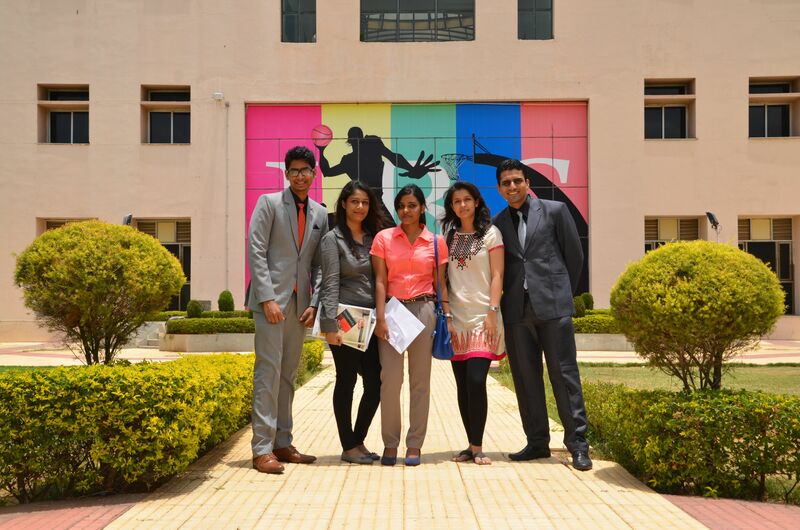 A lot of students who have successfully cracked an entrance exam for leading business schools in India such as ICFAI Business School have highlighted the important part that a study group or circle has played in their preparation. The study group keeps each other motivated and a lot of preparation takes place through peer discussions. This furthermore helps in preparation of later stages such as group discussions and interviews. The students can follow these steps to effectively tackle the many challenges that they face while preparing for CAT or other management exams. It will not only boost their confidence but also keep them on schedule for the examination. Over the years, management institutions have burgeoned in the country rapidly. The Multi-National Companies actively seek out management graduates to fill its rank and file and groom them to become future leaders. 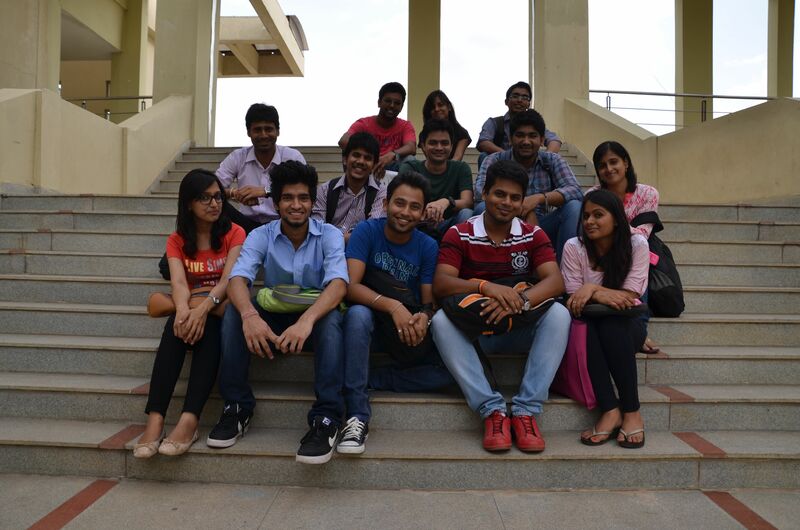 This has led a vast majority of Indian student aiming to get MBA or PGDM degree to make their career in this field. 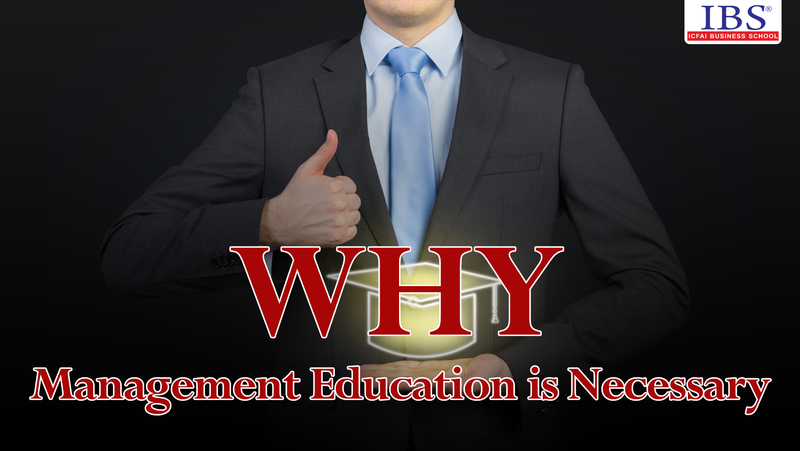 However, no matter how many MBA colleges in India are mushrooming and students queuing up to attain a management degree, the question still persists; why management education is necessary? Let us consider the points that justify the value that a management education can add. In the two years of your MBA course, you learn a great deal about the pillars of business. When you get into management course, you get the exposure to develop and improve your business knowledge and learn various tools and techniques. This becomes valuable in the later career which requires more analytical thinking to identify and tackle business challenges. Even for the entrance examination, many of these management institutions require them to develop real life skills such as numeric ability, data interpretation, language skills, logical reasoning and current affairs. The graduates from the management institutes are prepared for life and have a higher success rate dealing with upcoming life challenges. In a management college, you get the opportunity to come out of your cocoon and face the crowd, even if it is a challenge for you. 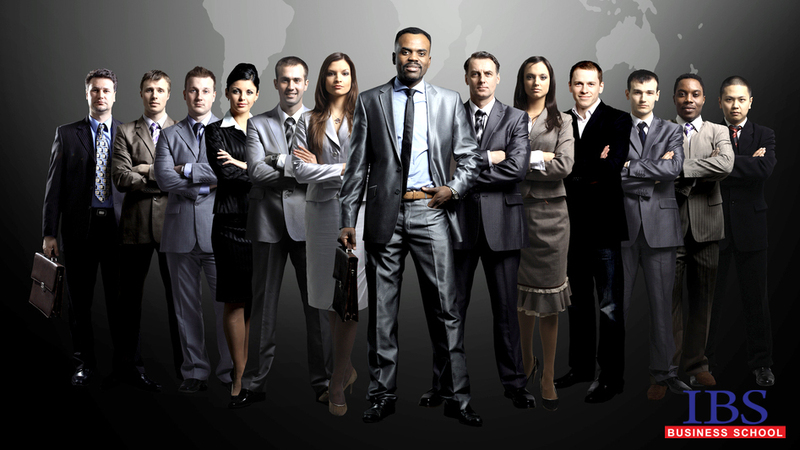 Various seminars, workshops, projects and case-studies; enable an individual to improve their people management skills. As you progress in your career, you would need to manage people where the interpersonal skills become indispensable to grow into an effective leader. It also provides the students a valuable opportunity to explore their likes and dislikes, as well as their many talents to make the most of upcoming opportunities. The management students are required to undergo a few Internship Programs as a part of their curriculum, in which they get the chance to interact with the corporate world. In the course of their internship, they get a taste of the business world where they learn the nuances of running a business and becoming a professional. This prepares them for the real life work conditions which sometimes may make demands such as meeting targets, negotiating, insane working hours, people and their temperaments, pressure, and work-life balance. This ensures that the students graduating from these courses do not live in their fairy world and do not have any illusions about the harsh world out there. When you are doing your MBA or PGDM, you come across management jargon, which are usually a vital part of the business world. This aids in helping a student settle sooner when they join a workforce into an organization. In fact, knowing the management jargon help the students to easily be on the same page with their colleagues and bosses when they have a real job. They won’t feel like an alien in the corporate world. They also develop awareness about the world of commerce and it helps them out when they are looking out for opportunities. Most of the companies are looking for employees who can see the bigger picture and can come up with the ideas that can take the organization forward. The management graduates may have an edge in this regard. Almost all MBA colleges in India have a placement cell which is dedicated to screening companies to come for campus interviews. This saves the students from visiting different organization in search of a job. Getting a job in today’s economy can prove to be a difficult endeavor and any help one gets in this regard is a blessing. The placement cells also take the students through various employ ability skills training sessions which improves their chances of getting selected in the companies. It is also observed that due to the business acumen these students develop, companies are comfortable taking them at a higher salary and hierarchy than non-management graduates. With an MBA degree, getting a better designation becomes easier. The easier progression of their career can be attributed to the skills developed during their management study. Many companies find it much easier to hire the management graduates who are seen as already possessing the effective management skills and not having to be taught everything from the scratch. The companies may also have policies requiring a person to be already educated in a management course before promoting them as a manager. This is done to ensure that the promoted person has got the right skills in place to perform well in the job. Some people who are eyeing management titles may also consider taking a sabbatical and pursuing a management degree or going for a distant learning management course. The management education also prepares you to become a successful entrepreneur. As the students become more reliant on their skills to manage the business, they may also choose the entrepreneurial path. This is especially useful for millions of students who do not want to make their career doing a regular job and would like some more freedom in their work. Students learn the real life skills of sales and finance as well as aspects of human resource management which are all highly relevant to any budding business owner. The management education also aids them in making better business plans and approaching financial institutions and investors with their ideas. There are many benefits of a student going for a higher education in the field of management. It can really change the individual’s life by making them more efficient, focused and even ambitious. The skills learnt in the classroom of a management institute can be relevant throughout the life. The individual may find it easier to approach new avenues in life and seek out their true calling leading to a more fulfilling life and career.